PitPat Review - How activity is your pooch? Just before Christmas the world went mad for a Fitbit, now if you don't know what they are (where have you been? It's a wearable bracelet for humans that tracks how many steps you walk in the day, as well as sleep and water intake. The clever team over at PitPat have designed a similar concept but for your pooch. We met them whilst at Crufts and they very kindly gave us a PitPat to review. Designed in Cambridge and manufactured in the UK. 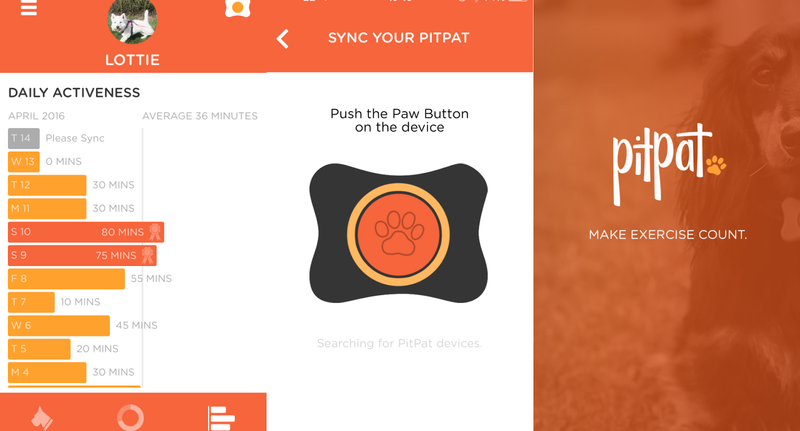 PitPat is an activity monitor for dogs, it gives owners a fun way and engaging way to ensure that your dog is getting the exercise it needs, by keeping a track of its walking, running, playing and resting. PitPat attaches to your dog collar using a VELCRO® wrap around attachment meaning it can attach to nearly any collar, as a guide PitPat will fit collars up to 40mm wide and 5mm, and comes with a extenders ideals for larger collars. 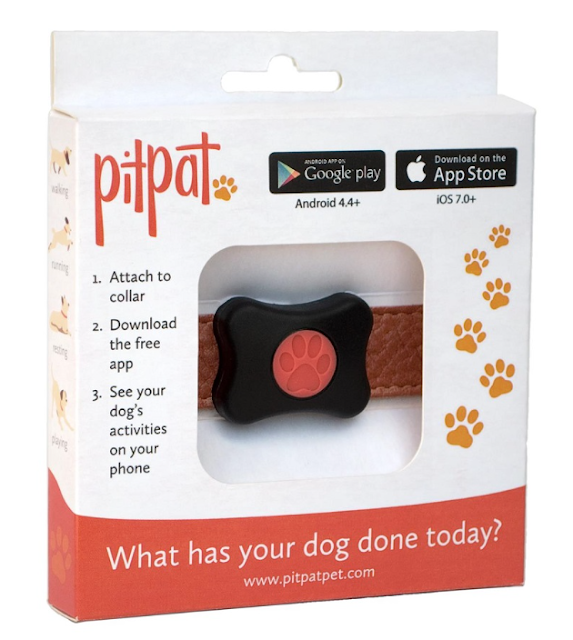 The device can be synced to a mobile phone by downloading the PitPat app which is available on the IOS and Android stores. The app which is free to all users, allows you to set up a profile for each of your pets Pitpats. This include chartictics such as name, age, breed and weight. The app compares the activity to a daily guideline based on its age, breed and weight then calculates how much exercise your specific breed needs each day. 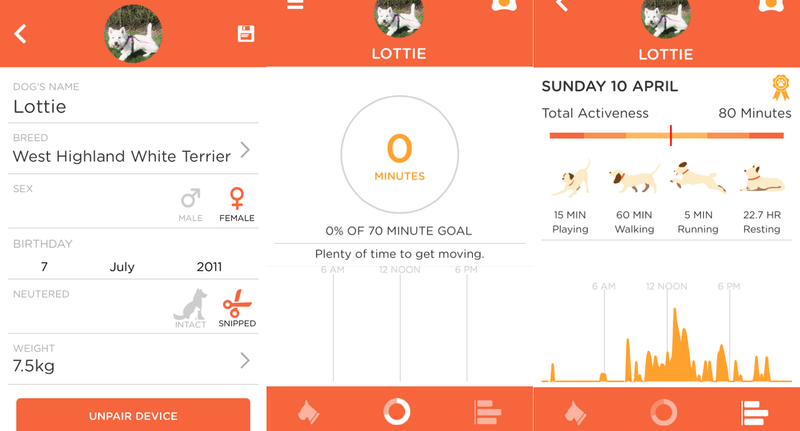 The app then lets you track how much running, walking, playing and resting your pooch has done for that day. It also saves your results from pervious days you can see how active your were for a particular week. Simply pressing the sync button in the middle of the PitPat connect to the app to update it with the latest data. 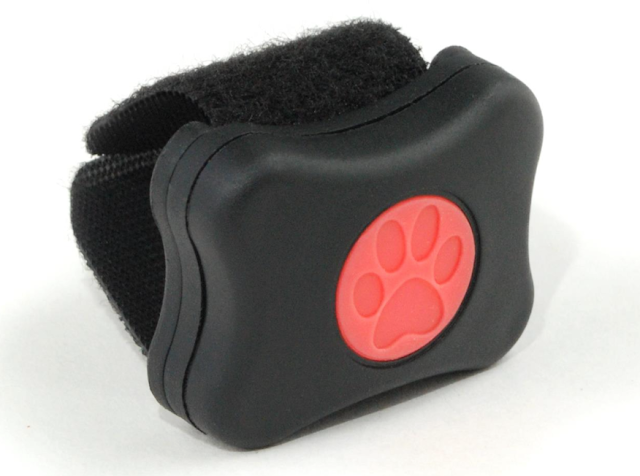 Its year long life battery and its waterproof design, means you can keep your PitPat attaches to your pooch at all time, so unlike other activities monitor there is no frustrating inconvenience or downtime for charging. The app features three main pages. A profile page that lists all the details about your pet. The current day page which shows show much activity your pooch has done today in minutes and how far you are off reaching your target. The third page shows you a log, this include a break down of the total activeness for the days you have you active along, simply by clicking on a day give you a break down of what exercise was carried out. In a short answer we love it. With over half of the dogs population overweight we feel its a great simple tool to help your pooch lose the vital pounds. Even though if your pooch is like Lottie and isn't carry a little extra weight, its still so fun to use. Being only human we can all get a little lazy from time to time, sometimes I will very often feel I have give Lottie plenty of exercise for that day, but without having any way of monitoring you can never be sure. I can see exactly how much we walked and more importantly how much snooze time she has had. As PitPat knows the differences between resting and walking, it also means that when I leave Lottie home alone I know she is having a pleasant snooze dreaming about rabbits, rather than be worrying about when I'm getting home. We received a PitPat from PitPat at no charge in exchange for our honest and fair review of their product. All opinions expressed here are our own and truthful! Chloe Suzanne Designs | Dog Bandanas Review. Playdate - Lottie meets Jess.